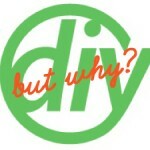 DIY Marketing Or Hire A Professional? Are you a solopreneur and/or small business owner running your business all on your own? Are you functioning as your own marketing department, learning as you go, reading books, subscribing to marketing newsletters, experimenting with trial-and-error marketing tactics? So you can do your own marketing, after all, your efforts seem to be working. Should you be doing your own marketing? Marketers make marketing look easy, key word being ‘look’. Experienced marketers can discuss procedures, processes, strategy and measurable results as easily as they can discuss what they ate for breakfast. If you’ve ever had a conversation with me, you know what I mean. It’s similar to the artist that makes a brush stroke look fluid and effortless, and yet when you try your hand it looks like a toddler’s doodles. The same rule applies here. Just because we make it look easy, don’t be fooled into thinking do-it-yourself marketing is an easy feat. As you work to grow your business, or wonder why you aren’t having as much success as you think you should, consider the following 5 factors, then ask yourself, should I be doing my own marketing? Are you qualified to do marketing? Which of these describes you? You’ve spent years learning the specific marketing processes, and then applied those principles in real world applications. You’ve studied under the tutelage of experienced marketing pros, and thus you feel equipped to market your own business. You’ve learned what you know about marketing from websites, e-books, colleagues, and trial and error. You can learn about marketing from number 3, but there’s a reason why some people do this for a living. Marketing is a process, and dedicated marketing professionals have a depth of experiences to draw from, resulting in an ability to drive results. Marketing is a multi-faceted discipline. For example, there’s strategy, which is my specialty. Strategy requires analysis and problem solving to develop an executable and measurable plan. Research requires an ability to ascertain appropriate data, filter through the clutter, and find what is meaningful to the current need at hand. Communications requires an ear for language, a visual finesse, and the ability to successfully fuse the two. While not all marketing professionals are proficient in all these areas, they probably specialize in at least one, and they can easily identify and bring in the right partners to assist in the areas where they don’t specialize. If you’re a chef, chances are your core competencies are related to the culinary profession. Your core competency – culinary arts – is the area in which you are educated and experienced. This is the foundation of your business concept, your core competency, what you get paid for. When you spend time on tasks unrelated to your core competency you are not focused on maximizing your revenue. Why not outsource the tasks to someone whose core competencies lie in those areas, and concentrate on your areas of expertise? This is the most effective use of your time, and there are only so many hours in the day. Why not maximize your efficiency and leave the marketing to the pros? Marketing your own business is a challenge, the nature of your product or service offering doesn’t matter. You are the closest person to the product, so you cannot market objectively, no matter how much you try to convince yourself otherwise. Marketing requires an external, objectivity party to evaluate your business, your marketing strategy and your marketing materials. Without this external, third party point of view, you may be focusing your marketing on areas of your business that you think are great but aren’t, and missing the areas your target would find spectacular. When you’re too close to the product it’s very difficult to be objective. Even as a strategic marketer, I regularly solicit feedback from people external to my business to keep a fresh perspective. Again, you need an external perspective for objectivity. Small-business owners who attempt to manage their own marketing activities often work without a cohesive marketing plan. This is where do-it-yourself marketing can become disastrous. They move from one tactic to another without ever developing a comprehensive strategy. Why do you need a strategy? It’s similar to driving cross-country with no map. You may get to where you’re going, but it will take more time, money, effort, worry, and energy than you needed to use. Can your business afford this road trip? A lack of strategy means your efforts aren’t defined by a comprehensive marketing plan, with calculated tactics, incremental growth, measurable checkpoints, and a realistic result. A comprehensive strategy provides the business owner with a blueprint to follow. This blueprint allows you to create synergies in your marketing by ensuring that you are conveying a clear and consistent message that is integrated throughout all your marketing activities. A marketing professional will bring this kind of strategic, big-picture approach, resulting in more effective and more efficient marketing efforts. That’s what we’re here for! So remember, as you contemplate the growth and success of your business, consider the experience and expertise of the person drawing the blueprint. It doesn’t matter whether you’re designing packaging, writing your newsletter, or planning a trade show appearance. The next time you’re wondering why you’re doing so much marketing and can’t get the results you desire, ask yourself, should I be doing my own marketing? But you don’t have to take my word for it, read 5 Reasons Why Do It Yourself Marketing an Actually Hurt Your Business, then contact me! EXCELLENT pts! As a new biz owner, I can see what areas I need to seek assistance! U are right when u first start a biz, you try to do everything yourself. It takes a minute to realize what you really need to do yourself and/or seek professional help. Thanks Monica, I’m always happy to help! It makes sense to bootstrap a startup and try to do everything yourself, but you actually spend more time focusing on those things that have nothing to do with your skill set. Those functions start to take over your schedule and you don’t have enough time to spend on your passion, your reason for starting the business in the first place. Unfortunately too many people burn out before they recognize the problem. Tell the truth! Marketing your business is a full-time job. People do it full-time, so it follows that you’d either have to do it full-time or hire someone to do it. Excellent post! I’ve often wondered the same things myself. Thanks for commenting Brian, and I’m glad you liked the post! On behalf of my marketing colleagues, we appreciate the fact that you recognize and respect our profession!